A Presbyterian Woman . . .
. . . belongs. She has chosen to be a member of the church-wide organization of Presbyterian Women, which was formed in 1988 by action of the voting representatives.
. . . is never alone. Presbyterian Women have a rich heritage, with roots in the 19th-century women’s missionary societies organized in our predecessor denominations. While women were active in mission and responsive to Christ’s call, women were not represented in Presbyterian polity until 1930, when ordination (as elder) was first allowed to women. The first female deacons and elders were elected to serve in our church in 1984.
. . . believes in her mission.  The constitution of Presbyterian Women is the constitution of the Presbyterian Church (USA), which consists of the Book of Confessions and the Book of Order. Presbyterian Women have characteristics such as power (from the Holy Spirit), persistence (in prayer and Bible Study), peacemaking (and work for justice), creativity, circular relationships, and many other qualities that make us ideal church leaders, and participants. Circles are a great way for women to connect with one another in a smaller, more intimate setting. Circle 2 is a wonderful group who meet at 10:30 a.m. the second Monday of the month in members’ homes or at the church. We welcome all who would like to visit and join us! In the words of a Haiku, we are: a loving sisterhood; growing, outreaching, active. Circle 4 meets at 10:45 a.m. in FPC Memorial Hall on the second Monday morning of the month. Most members are retired women who look forward to these times of Bible Study, Christian fellowship, and opportunities to support domestic and international mission projects. The first meeting in September, the last one in May, and the December meeting end with a covered dish luncheon. Other months each member brings her own sandwich or salad and the month’s two hostesses provide chips and dessert. A midsummer lunch gathering at a restaurant is always planned so that members can keep in touch with one another and share experiences and/or concerns. Circle 6 meets at 6 PM in Glenaire’s beautiful board room. We are a diverse and congenial group of individuals mostly from Southwest Raleigh and Cary, many of them residents of the Glenaire Community. Our working members appreciate the convenient starting time as well as the chance to unwind and enjoy a scrumptious dessert plus coffee prepared by a talented dining staff. This time of fellowship is followed by a brief business meeting and our Bible lesson. Circle 6 is one of the “hidden treasures” of our church with a wealth of experience, wisdom and, most important of all, Christian love to share. We welcome and need the gifts and talents of new members of any age. If you have a longing for closer relationships with fellow Christians combined with challenging, thought-provoking Bible teaching, come join us! Circle 8 meets at 6:30 p.m. on the second Tuesday of the month in the homes of members. You’re invited to join us for fellowship, Bible Study and to help us support the local missions we have chosen as projects for the circle. Our Circle is comprised of single and married women of all ages and monthly meetings include a Bible Study and a short business meeting, with a light supper (salads, chili, baked potato bar, etc.) coordinated by members who have volunteered to serve as hostesses and co-hostesses. Most of us work full-time or are recently retired. We also enjoy a very well attended pot-luck dinner in February each year in which husbands and friends join us for fellowship. We actively participate in community mission projects each year – some examples from previous years include work with Habitat for Humanity, Loaves and Fishes Ministry for Children, and the Lineberger Cancer Center at the University of North Carolina. Each year in June, as an end-of- year celebration, the members of Circle 8 enjoy dinner together at a local restaurant. Circle 9 is a wonderful group of ladies who range in age from young 30s to young 70s. Our Sunday evening meeting time is convenient for those who work during the day and/or have children who are involved in FPC’s Sunday Night Youth and Children Programs. We meet on the second Sunday evening of the month from 5:30-7:00 in the Lisa Ham Gathering Space at First Presbyterian Church during the months of September -April. In May we meet for dinner out at a local restaurant for a special evening of Christian fellowship. Our meetings include a light dinner, a short business meeting, support of missions and service projects, and an inspirational Bible Study. Please come and be a part of our family! Circle 10 is a Couples Circle that was started in 2003. We meet monthly in members’ homes from September through May for covered dish dinner and PW Bible Study. The meeting day varies each month to best accommodate members’ schedules. Normally meetings are held the second week of the month on Friday or Saturday. We select projects to support each year, and these may focus on international as well as locally identified needs. We feel we are an intimate, sharing group that enjoys gourmet dinners with a mission-oriented program. We offer something special to couples who want to meet together with a common purpose and enjoy activities with other couples. Circle 11 is an E-mail circle for busy women whose schedules are full to overflowing and who cannot be part of a group that meets physically. This circle offers a path to be able to spiritually be with other PW Circles as they study a Horizons Bible Study each year. This is also available for anyone who is homebound temporarily for whatever reason. Members will receive all PW information shared with regular circles and Bible lessons are prepared and sent monthly to circle members by a Circle Bible Teacher. Should a member make monetary contributions toward the support of PW activities, these would be sent to the PW Treasurer and marked accordingly. Members are always invited to attend the W General Meetings held at the church during the year and to participate in all activities that will fit personal schedules. Unique? Yes, it is a 21 st century concept that keeps members a part of FPC PW by enabling them to participate on their own schedule when the time is most convenient to the individual members. If you are looking for a circle, we invite you to consider Circle 11. You are welcome to join Circle 11 at any time by contacting Mary Beth Wortham in the church office to place your name and email on the circle mailing list.